TNT Music Videos Denver is the home of professional music videos production and editing for bands and musicians in Colorado. We produce concert, concept and video profiles for the music industry and take pride in creating custom-produced music videos that stand out from the crowd with their professional image, design and craftsmanship. Our sister company, Denver Pro Videos, produces promotional videos for individuals, businesses, corporations and non-profits. Stand out with your audience. We highlight your music by consciously showcasing the special qualities of your music and performance that appeal to your audience and differentiate you from other bands. We produce videos that are creative with a compelling emotional hook to maximize the impact of your music. Your video is a reflection of your band and your music. When you view our work, you will see that we pay close attention to all the disciplines encompassed in the video art form (story, videography, music, graphics, editing, etc.). Nothing we do is cookie-cutter: each element is professionally designed to convey your unique music and image as a band. See what TNT Music Videos Denver can do for you! 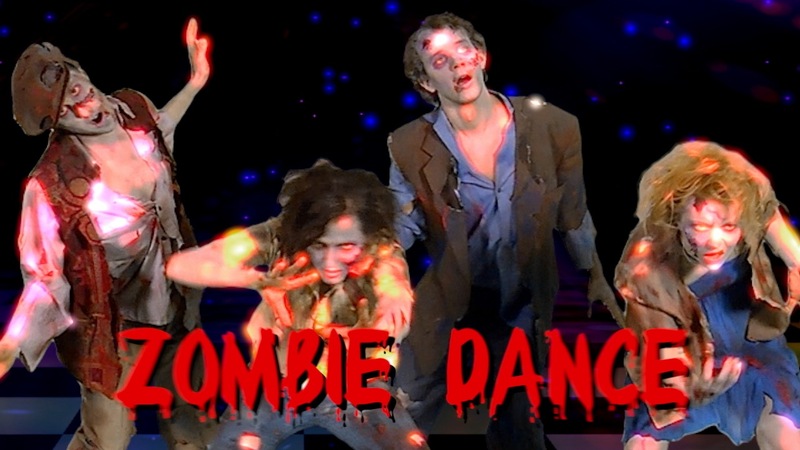 "I have watched Zombie Dance a number of times. Am thrilled that it's so popular on YT. It's a really fun video. Very very cool." Talent and years of honing skills help establish a solid foundation for eventual success, but fame and fortune will remain elusive unless you are discovered. At TNT Music Videos Denver, we understand that it can be difficult and frustrating for musicians and bands to gain the attention they deserve in a crowded field. Don't remain invisible ... a professional custom-produced music video can extend your music and performance from the local concert hall to audiences worldwide! TNT Music Videos Denver produces three types of music videos: 1) conceptual music videos, 2) live performance concert videos, and 3) profiles of musicians and bands. Some music calls for a visual component beyond the concert hall. Concept Music Videos can create a memorable backdrop for your work. Here is a sample of a Concept Music Video. We maximize the impact of your performance, audience reaction and skill through the use of multiple cameras with various dynamic and exciting angles. Here is a sample of a Live Performance Music Video Using Multiple Cameras. After attaining a base level of attention, a profile of your band can help build your image and create additional buzz. Here is an example of a Band Profile Video. "You are awesome, sir. Thank you!" "Thanks a million!!! I will definitely recommend TNT to my music friends whenever the opportunity arises!" "Thanks Tim. Really great to work with pros like your team." "Everyone loves it! You did a great job and it's lots of fun!!! We are #17 in the world YouTube popular videos (ahead of Bruno Mars and Mariah Carey)! Our day of fame ... let's roll with it! Our little music video went from being #2 (all day) to #1 in the world!" "Wow. Moving. Gorgeous. I love this final cut - it works perfectly. This is exactly what I was looking for. Really beautiful - LOVE IT! I sent this to all our volunteers and Board."